Get some Valentines and play mailman giving Valentines to each other. You could even make some valentine boxes out of old Kleenex boxes decorated with stickers then play-give everyone a few to start and let them have fun. Make some valentines to give to family members. Heart doilies, stickers, and construction paper makes the job easy. Make tags or heart badges to give each child. When they do something loving, put a sticker on it. You can have them act out some ways to show love at the beginning and give them stickers for that then keep going as the class goes on. Have the children give stickers to each other and say "I love you." "Jesus Said Love Everyone"- The music and lyrics to the song. Lullaby- A song to teach the children to sing to others. Great way to show love. Follow Jesus Christ- Some more ideas for older kids at the bottom. You could make this bouquet or a simpler one out of pipe cleaners and coffee filters (color the edges with markers then spray with a water bottle and the colors with spread nicely) or tissue paper. Showing the Love in Your Heart- A poem and picture to color that talks about love means acting too. Love One Another- Scroll down and you'll find a booklet that you can print out, color, and put together that tells us how Jesus taught us to love one another. Love At Home- Cute house that you could make beforehand or get a foam one from the craft stores to put together then do the activity. Plus more ideas. Valentines- Rebus valentines- better for older kids but those that still can't read. Family Love-A fun slider handout that shows ways we show love in our family. Could be used as part of the lesson, as a handout, or for Family Home Evening. Love at Home-A puzzle to put together to see how we can show love at home. I Love You This Much Card- A cute card to make. 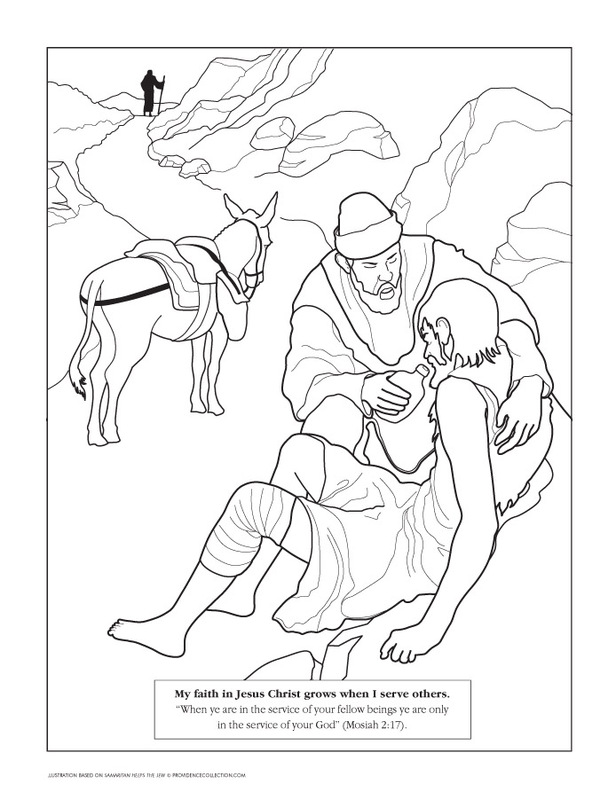 House Filled with Love- A fun coloring activity- could use with the lesson if done beforehand.